There are 28 reviews of HiM. Xaterian Stormrage said it best, this smells like spicy chai tea with a sweet aroma from an apple pie. I think it smells best on a hot summer day. A true autumn luxury. This is for the EdP formulation, as a forward to the review. Opening scents are a creamy violet cinnamon, a richly layered combination-in fact, it's downright sensuous. A slight gourmand scent, but without any clear food images: perhaps a spicy chai tea, or a rich apple pie? Evocative of October evenings here in Wisconsin: notes of cedar bring to mind falling leaves and changing colors. As it dries down, it develops a smokey olfactory texture. I get bits of amber and tonka in the drydown as well-all scents work well in conjunction. The projection is light to moderate: no more than an arm's length. Longevity is average for an EdP, it projects for 4-5 hours and then becomes a skin scent for another 2-3. Nothing to be disappointed about. Of all the low-priced fragrances (at the time of writing, bought a 3.4 oz bottle for approximately $25 USD) in my scent wardrobe, this is the perhaps the best. Worthy of triple the current pricetag. Don't let any naysayers detract you from this joyfully complex, wonderfully seasonal scent. Buy this EdP right away. HiM has a lot going on in the opening with the citrus, cinnamon and sweet tonka. When I sampled this, that's what made me go buy a bottle, the opening. It really stood out as pleasant and unique among the other scents. The drydown is woody and amber-sweet but there are some other things happening that make it interesting. It's definitely a scent with many things to experience and smell throughout it's evolution. Smells like a date night scent with the cardamom, tonka and amber, kinda warm and cuddly. It projects really well and seems to last all workday. A great woodsy/cinnamon male scent. Wife loves it. Should probably get the EDP (i have the EDT) as i wish it lasted longer. Despite its uncanny resemblance to Gucci pour Homme II, HiM still fascinates me in its own way. Remarkable fragrance composition, head to base. HiM, like Gucci II, is an enthralling journey into a forest of cedarwood and spices. Violet is evident, as is soft hints of the amber and musk. This one also seems to have been nearly cloned in Bulgari's Man in Black scent, which came out two year's after HiM. Try the EdP version, for a deeper, creamier experience! 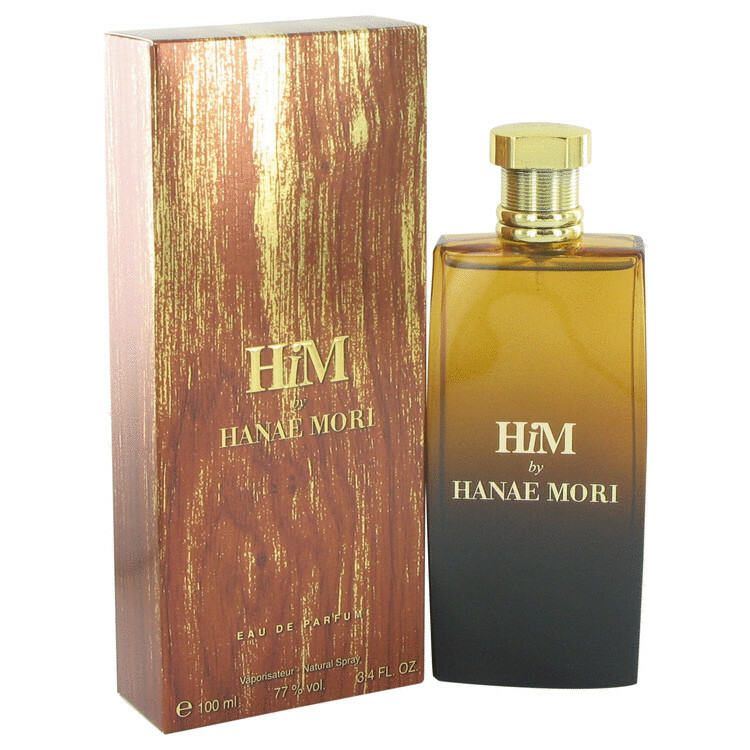 Him By Hanae Mori 3.3/3.4oz. Edp Spray For Men New In A SEALED BOX! AUTHENTIC! Cheapie of the month ? Hanae Mori Him, Ck one shock, Burberry London ..
Casual wear: [ A*Men | Kouros | Hanae Mori HiM edp | Pure Malt TM ] ?